TABASCO® brand Original Red Sauce --- 6 Tbsp. Light brown sugar --- 1 Tbsp. Garlic powder --- 1/2 tsp. 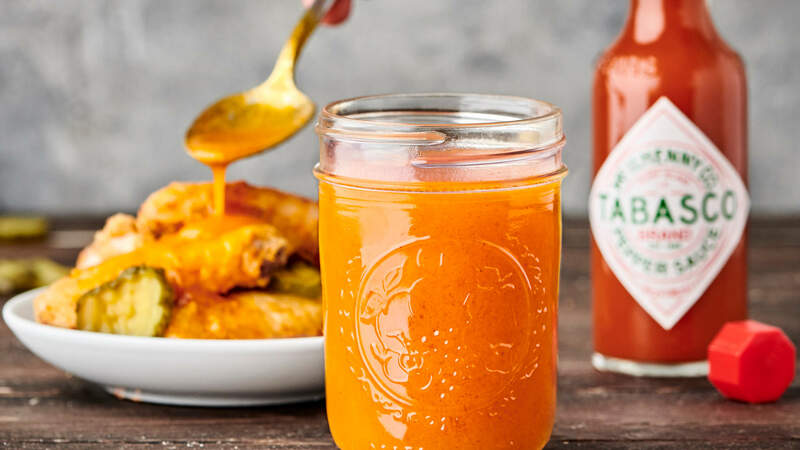 Combine all Nashville Hot Wing Sauce ingredients; set aside. Remove from oven, toss with Nashville Hot Wing Sauce and serve. Optional: serve with sliced pickle chips. Remove from fryer, toss with Nashville Hot Wing Sauce and serve.